You have no idea what NYSSMA or a Solo Festival is, but your daughter signed up. You heard from some of the parents that students who perform well at this NYSSMA thing can get into All-County and All-State. So you happily hand in your check. After all, you want your child to get into the best colleges, and maybe this NYSSMA thing will help her get an edge and get accepted to her dream college, and maybe even get a scholarship. It's 2 weeks away from NYSSMA, and your daughter comes crying to you because she is barely getting through her French Horn solo. You frantically look on YouTube for a performance video to help her out, and luckily, you find one. You saved the day and are your child's hero! It's now a week before your child is supposed to be performing at this Festival thing. You didn't receive a time for her to play, you don't know where you are going, you don't know how long it will take or what you need to bring. How can you guide your child if you're confused too? You try to call or email the band teacher, but she doesn't get back to you because she is teaching all day. You ask some friends who have children in Band, but they are just as clueless as you are. You know how to help your child with Math and English, but music?!?!? Isn't there someone or something that can answer my questions? Hi, I'm Donna Schwartz, and with over 27 years of private and public school teaching experience, and over 15 years of adjudicating festivals, and performances on major stages (such as the Paramount Theatre, World Café, Patchogue Theatre) in front of thousands of people, I can provide answers, tips and insights to address your concerns. I know what judges are looking for and what to expect from a NYSSMA Festival, and I can help you help your child. I have personally trained hundreds of students to perform at NYSSMA Solo Festivals, with a majority of them performing so well as to be accepted into prestigious performing ensembles, such as the Manhattan School of Music Pre-College Jazz Program, All NY State Jazz, Concert and Wind Ensembles, Nassau-Suffolk Performing Arts bands, and All Nassau County Bands and Jazz Bands. Do you want your child to achieve a top rating? Can my daughter pick any song she wants to play? My son's a singer. Does he need to bring an accompanist? I hear the scores are used afterwards to place kids into select ensembles. How can I get my child into one of these groups? How can my child get better at Sight-reading? “My child's teacher spent 10 minutes once a week during lunchtime to help her prepare for NYSSMA (New York State School Music Association). With this product, she would have absolutely been more prepared.” Alyse S.
The best performances are by those students who are very well prepared. Unfortunately, some students are not prepared at all because they do not receive the guidance they need to get the edge in performing well. Their school teacher may not have had the time to prepare all his students due to a heavy teaching load or budget cuts taking away music lessons. 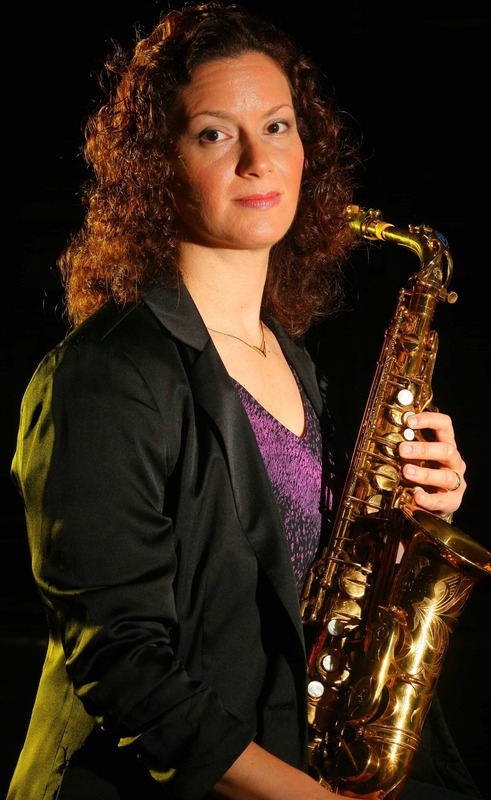 Returning to the NYSSMA after 20+ years, this time as a private sax teacher. I ordered Ms. Schwartz’s program to research the changes with the festival process since my All State auditions. I can say honestly after reading the material and viewing the videos that this program exceeded my expectations. Not only was I able to come up to speed with NYSSMA-2015, the “NYSSMA De-Mystified” program highlighted several items that I had forgotten (or blocked from my memory). Hearing Ms. Schwartz’s perspective as an adjudicator was something I never experienced as a soloist and made sure to review with my students. I’ve also made modifications to sight-reading methods and practice plans based on these recommendations. However, the icing on the cake is the video clips of her students talking about their festival experiences. Watching these videos really seemed to connect with my students. Hearing tips from a fellow kid carries more weight than a teacher preaching. So unless you’re currently a NYSSMA judge, this program is well worth the investment. Many times during each Festival that I adjudicate, I get a handful of students that have prepared the wrong material, wrong scales and could not sight-read well. This discourages the student, and eventually leads to them quitting the instrument because they had a bad experience. My child can't Sight-read at all! Sight-reading seems to be everyone's nemesis! I have adjudicated many performances where the student plays their solo and scales beautifully, but then falls apart during the Sight-reading portion. In this program, you will learn a thoroughly tested strategy to Sight-read with ease and confidence. Many of my own students use this and score exceptionally well on this portion of the NYSSMA evaluation. “I'm not a music consultant. I can help my daughter with math, but I'm clueless when it comes to music. I am always looking for stuff to better prepare my children.” Mary K.
Now you can get answers to all your questions and more with NYSSMA De-Mystified: Everything You Need to Know to Nail That Audition! In this program, you will get access to several lessons filled with practical information and well-tested strategies as well as over 60 minutes of videos that will prepare you and your child to do their best for their Solo Festival Audition. What are the main categories the judges are looking for? How can my child leave a great impression on the judges? Is there some kind of checklist I can refer to for preparing for this audition? How can my child prepare for a Jazz Solo Festival audition? You get all of this and more for only $97! Normally, a program with all this valuable information and insight would go for way more than $47; in fact, way more than even $97, but as part of my special introductory package, you are getting this program for more than half off, and you get lifetime access!!! Click HERE to purchase NYSSMA De-Mystified; Everything You Need to Know to Nail That Audition, and boost your child's confidence at his/her next audition! Do you wonder what is in the mind of the judge when your child is performing? You are outside the audition room, listening intently to your child's performance. It sounds like she is nailing every portion. She comes out all smiles and thinks she got a very high score. The Judge has a smile on his face. A week later, you get the score, but you are confused. Your child did not get the high score she expected. In NYSSMA De-Mystified; Everything You Need to Know to Nail That Audition, you will get inside the mind of an experienced, well-respected judge. The best ways to perform scales, a successful, proven method for Sight-reading, advice for performing a Jazz NYSSMA audition, and much more. Click HERE and give your child the opportunity to get a great score and the possibility to get into an elite performing group for only $97. The skills learned in this program will help your child succeed for any kind of audition or performance. The truth is, music teachers today are given less time to see students, and with the huge emphasis on State tests, children are taken out of music lessons for extra tutoring. It just isn't possible for the music teacher to make up for all that lost time throughout the year. Many teachers will give up their lunch hours, or provide early-morning or after-school extra help, but there's only so much time on the day to help all those students. The advice and tips given from an experienced Judge alone are worth their weight in gold! Wouldn't you want to give your child the important skills of planning, goal-setting, creating the best mental outlook and extremely detailed preparation he/she needs to succeed in all areas of life? Disclaimer: The content in the E-Book and Videos are for educational purposes and cannot guarantee a perfect performance. Audition judges are human and can be subjective in their grading. This content will prepare your child as best as possible provided that he/she practices consistently and effectively and has proper performance technique. This product CANNOT take the place of consistent practice and preparation. This product is only a guide and not a replacement for a teacher.